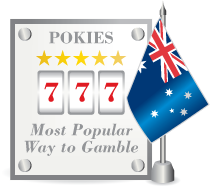 Today, pokies are the most popular form of gambling, not only in Australia, but also around the world. In Australia, you rarely have to go further than your local club to play on a poker machine, while casinos and other venues around the world hum from the sounds of hundreds or thousands of these machines operating at once. Today though, you don't have to go far as online casinos allow us to play pokies anytime we want from the comfort of our homes. However, pokies weren’t always so commonplace, and their story begins more than a century ago. Here’s a look at where pokies came from, and how they’ve come to be such an important part of the gambling world today. 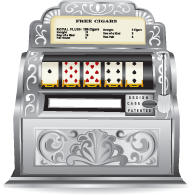 Poker machines – known as slot machines throughout most of the world, and fruit machines in the UK – were first developed in the late 19th century. According to most sources, the first pokies were developed within years of each other in two American locations. First, Charles Fey of San Francisco developed a three-reel poker machine that featured just a handful of symbols. The most valuable symbols were images of the Liberty Bell, which is why the bell remains a classic symbol in pokies to this day. This machine didn’t offer the kinds of jackpots we see today – the top prize was just AU$0.50 – but it still proved to be a hit, spreading in popularity in California and other states. Around the same time, another type of poker machine was being developed in Brooklyn in 1891. Developed by Sittman and Pitt, this was a five-reel poker machine, with each reel holding the images of ten cards from a standard deck. The object for players was to make a winning poker hand, with the strength of the hand determining the size of the prize they received. These machines proved popular in bars and pubs, where operators could determine what prizes should be awarded for various results. Since there were only 50 cards represented, the reels – or “drums” – often removed two high cards to lower the odds of players making a royal flush. However, since these pokies were all mechanical in nature, the three-reel games became more popular for a simple reason: there were fewer moving parts that could either break or need servicing. As time went on, pokies that awarded prizes rather than money became popular, with games that gave away chewing gum becoming especially widespread. 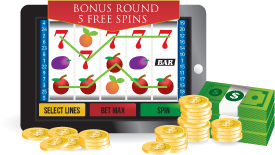 These games gave us the fruit and bar symbols that are now a part of many pokies. While legal rulings often found that these games were not permitted in the United States, that didn’t stop them from popping up across the country and, as time went on, in Australia and other nations as well. Poker machines were first made legal in Australia in 1956, when New South Wales introduced legislation to allow registered clubs to offer pokies. 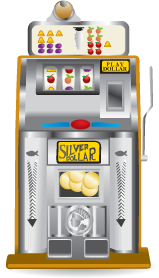 The first electronic poker machines were created in the 1960s. 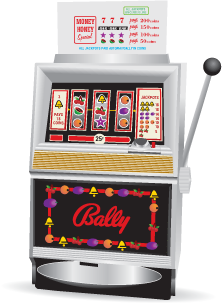 The first of these was developed by Bally, and was called Money Honey . This was a huge step in the development of poker machines, as it meant that – at least in the case of smaller payouts – players could play without the help of an attendant. Within a matter of years, these machines completely took over the pokies industry, as they were much more convenient and offered large prizes without an interruption in play. The next big leap in pokies came in 1976 with the introduction of a video pokie. These machines were the first that didn’t use physical reels, instead relying on a graphical interface that displayed symbols on screen. This allowed for more symbols, more paylines and more control over the odds by operators. Las Vegas casinos began using these machines in 1978, and while to this day they haven’t completely driven electronic pokies out of the industry, they certainly marked a new era for poker machines. This became more apparent with the development of bonus rounds in the 1990s. 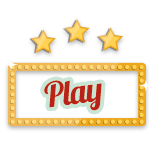 While some electronic machines could award free spins, only video slots could do “second screen” style bonus games, a capability that made them much more engaging for players. The first of these games was developed in Australia in 1994, when the “Three Bags Full” pokie was released here. Combined with the growing popularity of five-reel machines, this also allowed for more complex winning combinations, and in turn larger prizes and progressive jackpots. The 1990s also gave birth to the online pokie. 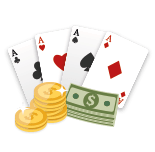 In the middle of that decade, online casino sites began to be developed, and poker machines were immediately an important part of their offerings. These games followed the same evolutionary pattern as those in land-based casinos, only on a more accelerated timeline. 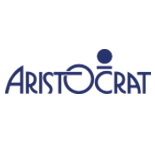 Beginning with games that had a small number of paylines and basic graphics, online gambling developers quickly improved their capabilities. 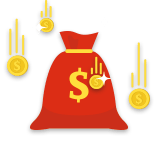 Animations and 3D graphics were added, a greater emphasis was placed on bonus rounds, and networks of sites were linked together to create massive progressive jackpots that award prizes worth millions of dollars. At the same time, online casinos took advantage of the nearly unlimited space they had to continue offering older-style games while also creating new games for their players. Poker machines are now more popular than ever. In Australia, pokies are perhaps more popular than anywhere else in the world, with most states (Western Australia being a notable exception) allowing registered clubs to offer pokies with only limited restrictions. In the near future, further regulations will be put into place on the nation’s pokies, as machines will be forced to include optional “pre-commitment” technology that will allow players to set loss limits. But while pokies remain a hotly-debated issue – there are several notable Australian politicians who have made gambling regulation a key part of their legislative careers – it seems to be more an issue of how best to manage pokies rather than whether or not they should be a part of Australian culture. It seems likely that for the foreseeable future, pokies will continue to be the world’s (and Australia’s) most popular way to gamble.